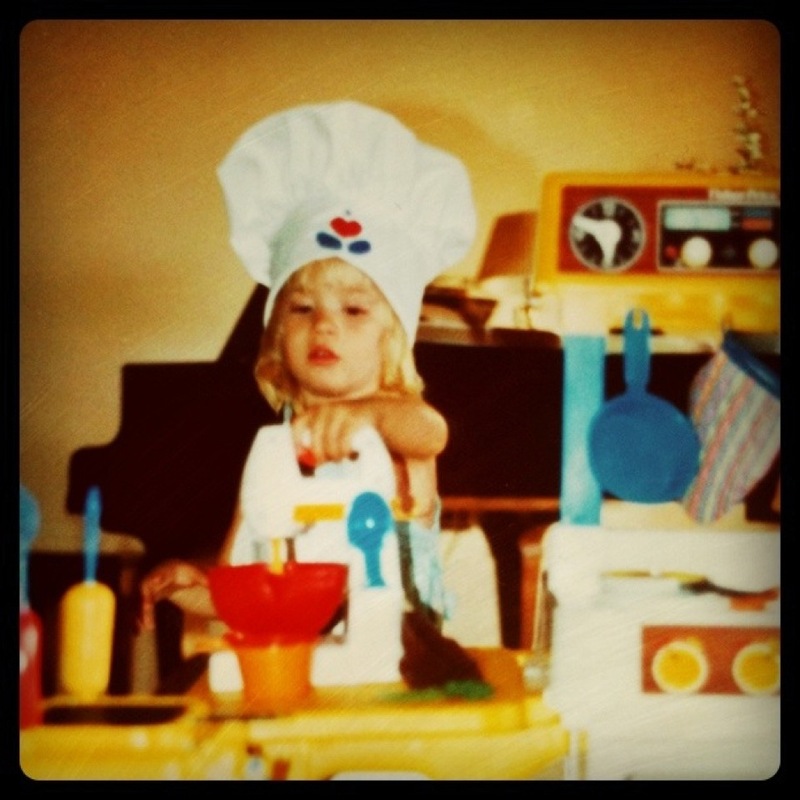 Some of my earliest memories in the kitchen involve making chocolate chip cookies from the Betty Crocker Recipe book. You know, the ones with Crisco shortening, butter, brown sugar AND regular sugar. I made them all the time; they were simple and didn’t require adult supervision. 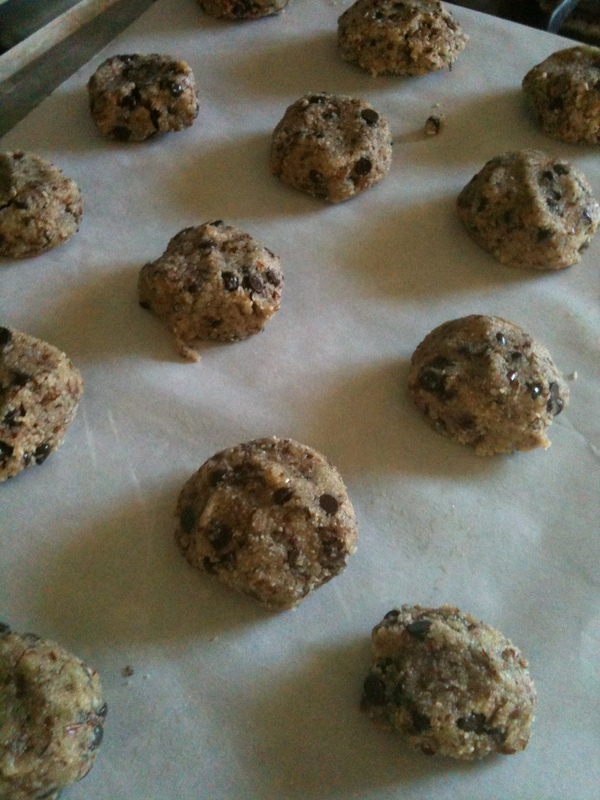 Plus, I could eat all the cookie dough I wanted (which we all know is WAY better than the final product). Nowadays, my tummy (and my thighs) would have a difficult time managing Betty Crocker cookies. So I appreciate this very tasty and less-hydrogenated-vegetable-oil-based version. In a medium bowl, combine almond flour, salt, and baking soda. In a small bowl, whisk together oil, syrup (or alternative), and vanilla. Mix wet ingredients into dry. Fold in chocolate chips. Bake for 6–7 minutes, until golden. Cool on baking sheet.